Dawn Ultra comes in a concentrated formula which allows you to clean your dishes well with less soap. According to the company, it contains 30 percent more cleaning ingredients per drop compared to the leading non-concentrated brand, meaning your dishes will come out spotless in no time. The company also touts the fact that the water feels less greasy when you use Dawn Ultra, compared to others. A top seller in dish soap, this product is loved by many customers. One reviewer said it can even be used on other things to get dirt and grease off, including windows! 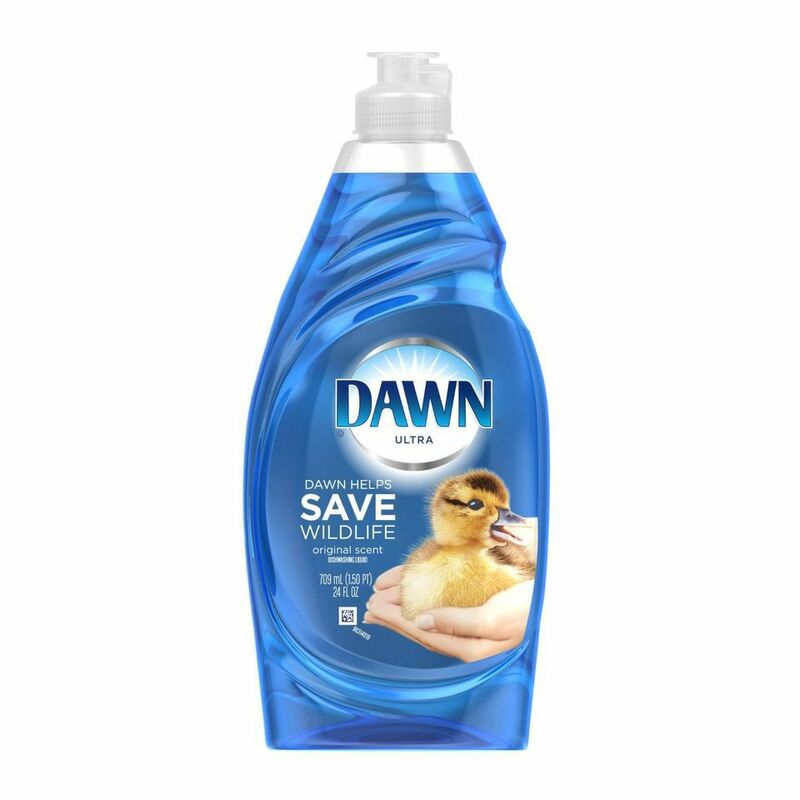 Others have said they only use Dawn and that it’s their go-to dishwashing liquid because of its performance. Some critical reviewers weren’t fond of the scent. However, there is a range of different scents to choose from including orange, Mediterranean lavender, and apple blossom. 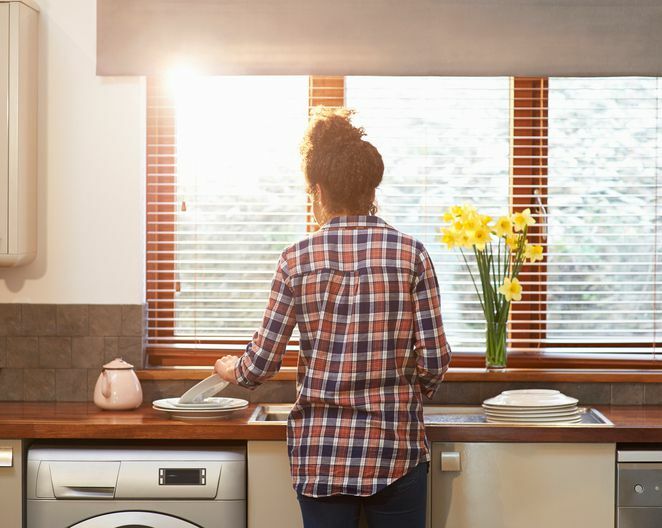 This might be a little more than you were thinking of spending on a dish rack but if you hand wash your dishes often it is money well spent. The first selling point is a drainage system that moves the water to a spout and into the sink and not a puddle on your countertop. An anti-residue coating helps any water on the tray dry quicker and prevent buildup over time. And what we love most, a wine glass holder that lets four glass hang safely upside down so they dry quicker and with less water spots. The sleek modern design looks great in all types of kitchens because it looks more like an appliance. And the anti-fingerprint treatment keeps it looking clean over time. Read more reviews of the best dish racks available to purchase online. A number one bestseller in household cleaning sponges, this Scotch-Brite scrub sponge is a great product. The standard sized cleaning tool features a strong yellow sponge with an extra tough green layer that’s perfect for scrubbing those annoying things like baked-on food. The best part is that you can throw it in the dishwasher to sanitize it for reuse. One word of warning, though: because it’s so tough, it can possibly scratch your dishes so test a small inconspicuous part first just to be safe. It’s also not for use on stainless steel. Most customers love these sponges, saying they’re durable and can also be used in other areas of the house for cleaning. Others have said they enjoy the design and that it’s the perfect size for the hand. In terms of critical reviews, some have said that they don’t like the odor of the sponges, while others have said the sponge is thinner than they would have preferred. But the majority of those who have purchased these were happy with the product. A good dish towel is soft and highly absorbent, and these from Utopia Towels fit the bill. The value bundle includes 12 towels in black and white, each 15 by 25 inches in size. They can be washed in the washing machine and are fade resistant even in hot water. According to the company, they are also made to hold up against bleach and chemicals, which means you won’t have to live with stains on them. Made from ringspun cotton, the towels are durable and perfect for cleaning up spills, drying countertops, or simply wiping your hands dry. The majority of customers have been very happy with their purchase, with some saying these are the best dish towels they’ve found. Others have said they’re a great bargain and get the job done. In terms of critical reviews, some customers have reported issues such as shedding and the seams unraveling when washed. However, if you’re looking for an inexpensive and absorbent product, this is a good option. Take a peek at some of the other best dish towels you can buy. When you have hard-to-clean baked-on food, it can be a hassle getting it off with just a sponge. That’s why a scrub brush is a handy tool to have near your sink. This one from OXO Good Grips is a great option as it not only has durable bristles to scrape off the gunk, but it also has a convenient soap container right in the handle that allows you to squirt more suds when necessary. The handle is also made of comfy non-slip grip material so your hand won’t hurt while you clean. A top-selling product in the category, this scrub brush is beloved by many customers. Many said the bristles are strong enough scrape off the baked-on food, while others added that the handle is comfortable and easy to use. Some have warned that they’ve had issues with the product breaking or leaking. But the majority would recommend it to others. For more scrub brush options, read reviews and check out the best dish scrubbers you can buy now. A five-star rating with almost 2,000 reviews, this bottle brush from OXO Good Grips is a top seller in its category. The set includes a long bottle brush (great for water bottles with skinny necks), straw brush (perfect since a sponge won’t fit inside that narrow space), and detail cleaner (which can be used to clean hard-to-reach crevices such as bottle caps). There’s also a storage ring that lets you keep all the pieces together but also allows you to remove them easily as you wish. Most customers are highly satisfied with the set, saying that the brushes work great and cleaned well. Many also have raved about the straw brush and its performance. In terms of critical reviews, some have mentioned that the large brush handle can be a little awkward to use because of its design. However the majority of those who have purchased it were happy with the product. A good pair of rubber gloves can make washing dishes a lot less of a chore: They help keep hot, soapy water from drying out skin, insulate hands from bacteria and grime, and allow a better grip on slippery dishes. Reviewers say Playtex Living Gloves do all these things admirably and inexpensively. They’re available in small, medium and large and come in a vibrant purple. Playtex Living Gloves have an antimicrobial, three-layer construction that combines Latex, neoprene and nitrile. If you’re worried about the icky, slippery feel of rubber, don’t be: These have a soft cotton lining that owners love. They also have Drip-Catch cuffs that help keep hands and arms dry, and reinforced fingers and palms that help ensure they don’t wear out or rip quite as soon as other household gloves. Reviewers say they’re just thick enough to protect the hands, but not so thick that they’re not flexible enough to grip dishes. A few do complain that they want other colors or puncture too easily, though. Looking for a detergent that doesn’t require your dishes to be pre-washed? Even if you have stuck-on food, this detergent from Cascade is a great way to get your dishes sparkly clean in one wash. The “ActionPacs” are also formulated with Dawn liquid soap, so it’ll help fight the grease. Customers have said they love the convenience of the pods as opposed to the liquid or powder detergent for the dishwasher. Many have said it leaves the dishes looking great — even the glassware comes out beautifully. Some have reported having issues with the packets not dissolving fully and others have complained about a residue on the dishes after wash, but the majority of customers would recommend the product. Take a peek at some of the other best dishwasher detergents you can buy.